Home » Advocacy » Can Salmon Help Save the Night Sky? Jack Sales, who has been involved with IDA for 20 years, is optimistic that ongoing research of the impacts of light pollution on salmon populations will help save two of the things he is most passionate about: Chinook salmon and the night sky. He knows that environmental issues are often intertwined, and he hopes that by shining a light on Chinook—both literally and figuratively—more people will realize the importance of protecting dark skies and endangered fish, and how by preserving one, we can help save the other. Tabor and his team set up ﬁeld trials in two urban lakes in western Washington State for their study. They selected several 156-meter-long shoreline sections near the outlet of major salmonid spawning streams with no direct artiﬁcial lighting. Then, from March to May, on two nights each month, they monitored the sites to determine fish abundances near the shore. In order to measure the effects of the intensity of light on ﬁsh abundance, the team set up sites with no light, dim light (maximum, 5 lux), and bright light (maximum, 50 lux). The problem is that this attraction to light is not innocuous. Among other known disruptions to fish behavior caused by artificial lights, the study stressed that “a major concern of artificial nighttime lighting for subyearling salmonids is the potential for an increased predation risk.” While subyearling salmonids depend on nearshore habitats for foraging, migration, and refuge from predators, the artificial lights on the shorelines made it easier for predators to find the young fish. 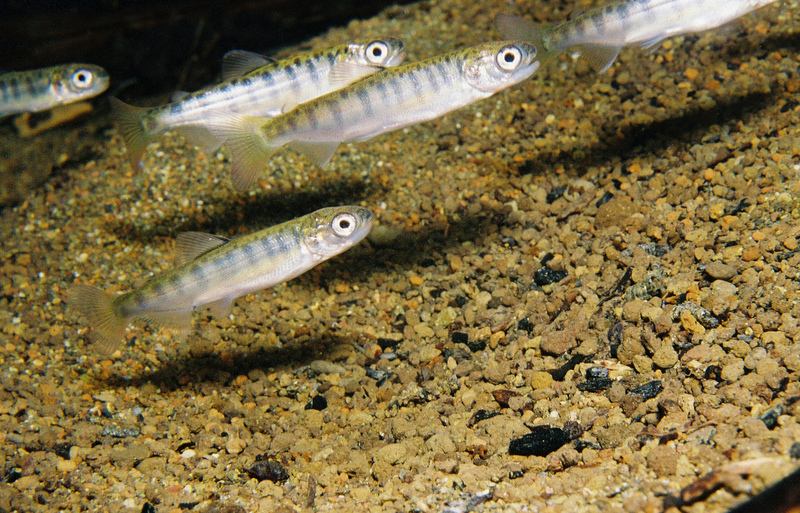 In shallow areas, subyearling salmonids are vulnerable to a variety of piscivores (fish-eating animals). In fact, on one night during the experiment, the team observed a great blue heron feeding at a bright-light study site. Other studies have found that fish can be affected by the wavelength of light, because red light gets absorbed at a depth of a few feet, while blue light penetrates deeper water. Also, some fish have exhibited spectral sensitivity changes at different life stages or points in their migration paths. It is clear that there is much more work to be done in this field to fully understand the effects of different types of lights on various species.